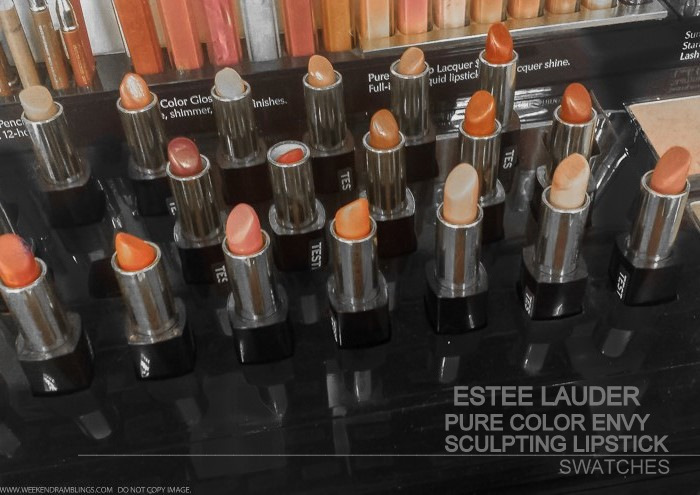 Estee Lauder Pure Color Envy Sculpting lipsticks are a new makeup launch from the brand. These lipsticks claim to transform lips with multifaceted pigments to create definition and a time-release moisture complex to keep them hydrated throughout the day. Here's a look at the swatches on my darker Indian skin tone. 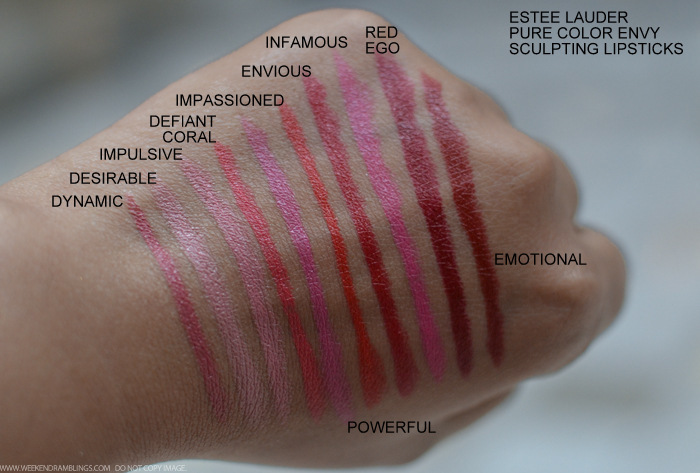 Check out Bellyhead's (Wondegondigo) review on Estee Lauder Pure Color Envy Lipstick Dominant - I couldn't find the shade at my local Nordstrom counter - to get an idea about the packaging, pigmentation, etc. 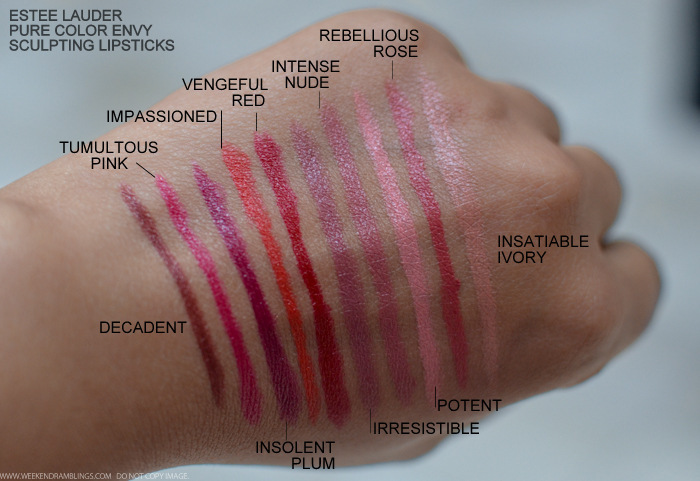 Personally, I prefer sheerer coverage, balmy-feeling lipsticks, so these aren't really tempting me all that much but might be a good pick for someone looking for more opaque/longlasting coverage. Loved all the shades, except for those couple of pale pinks! How do find these lipsticks?? Rads, it dried me out so terribly! :(( thanks kindly for the link love. Ya I remember you mentioning it wasn't that great on the lips...the color did look nice on you, though.